"the rainforest is the source of life"
The hills behind the Sepik river, where the mountains of Enga spill into the Arafundi and Kuruwari river tributaries is the home of semi-nomadic hunters Kuruwari. They are among the most remote people on earth and act as guardians of the largest cave art complex in the Southern Hemisphere as well as the nearby rainforest. The Sepik river crosses the northern part of Papua New Guinea from west to east. Along its river banks there are more than 250 different tribes with distinct languages. 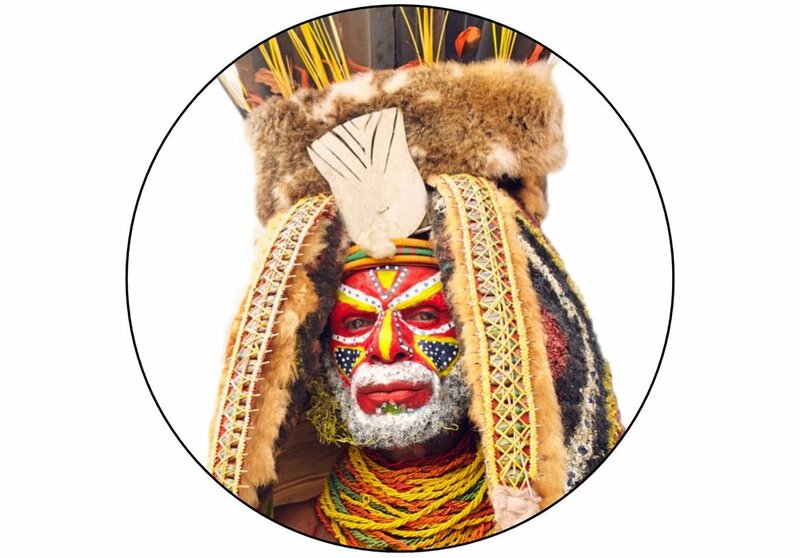 Their territories are the last big tracts of primary rainforest in the island of New Guinea. East Sepic region consist a large portion of floodplain and a wide network of swamps and rivers. On the south is the Central Mountain Range while on the north the Prince Alexander Range bounds their territory. Here Kuruwari people decided to abandon their ancestor caves and build villages at the river banks about two generations ago. In the land of Kuruwari there are no roads, no shops and no phones or internet. They live disconnected from the modern world, hunting, catching fish and making staple food from Sago Palm trees. The origin of Kuruwari is hunters and speak Penali language. They are tough people able to withstand the hardship of life. Kuruwari used to have male and female caves where each gender lived separated from the one anther. It is estimated Kuruwari overlook a network of 300+ caves inherited from their forefathers. Most of those caves are full of various art pieces. Hand stamps indicating the number of people living there, wooden carvings on ancient trees trunks, and others. This makes it the largest collection of Paleolithic hand print in the Southern Hemisphere. Kuruwari created all this as message “who they are”, “how many of them live in a cave”. Those hand stamps used to be made by locals up until 20 years ago. 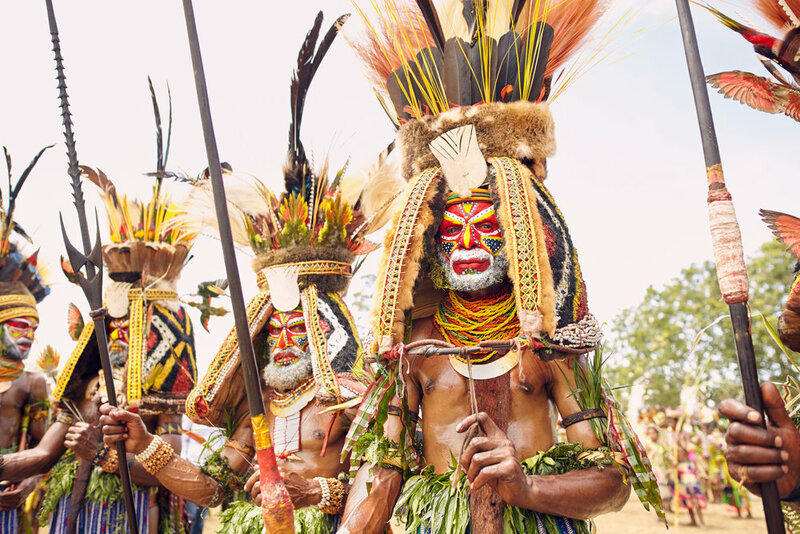 Kuruwari warriors decorate themselves as to resemble the exotic birds and plants in the rainforest. Their colorful hats are at the focal point of their appearance. They symbol the ancestor caves of their forefathers. This kind of decoration Kurawari use only during celebration. Due to its massive weight and size, hats are impractical at time of war. The shells on warrior neck are sign of wealth and even today are used for trade. Kuruwari main weaponry consist of stone ax and 2.5~3.0m long wooden spear.